In this document, we endeavour to answer all questions when it comes to mechanical ventilation with Tracheostomy in the home, as a genuine alternative to a long-term stay in Intensive Care. We furthermore endeavour to answer all questions regarding Non-invasive ventilation or mask ventilation in the home as well. 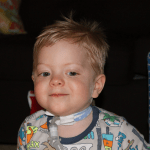 Invasive Tracheostomy ventilation at home has been used successfully for decades and published series of cases in a several large series in Adults& Children. Benefits of this type of ventilator support include complete control of the machine-delivered tidal gas volume and ease of access to the central airways for suctioning of secretions. In addition, treatment during episodes of acute respiratory failure requires no change in the method of ventilation. 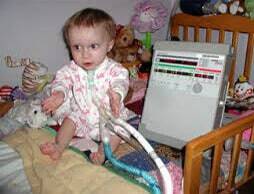 In order to have the abilities and capabilities to safely look after ventilated Adults& Children in the home, a number of prerequisites and minimum skills, which are generally Critical Care nursing skills must be available before a mechanically ventilated Adult or Child can be safely transitioned into the home. Any service delivery without Critical Care trained nurses puts the ventilated Adult or Child at risk and increases the burden on the Client and their Family. Service delivery that doesn’t meet the minimum standards and doesn’t meet the minimum qualifications of staff is outside of the guidelines. The basic requirements for ventilators were determined according to ISO-Standards, distinguishing between „Home care ventilators for ventilator-dependent patients“ (ISO 10651-2: 2004) and „Home-care ventilation support devices“ (ISO 10651-6:2004). In life-supporting ventilation, or for Clients unable to remove their own face masks, a ventilation machine with an internal battery is required (ISO 10651-2: 2004). If the Client’s ability to breathe spontaneously is greatly reduced (daytime ventilation time > 16 hours), an external battery pack with a capacity of at least 8–10 hours is required. If the duration of mechanical home ventilation exceeds 16 hours/day, an additional identical ventilator must be provided. The replacement of the existing ventilator with a different type of machine or the adjustment of the ventilation mode must each take place under hospital conditions. Invasively/ Tracheostomy ventilated Adults or Children require high-performance, battery- supplied suction devices (flow rate > 25 litres/min), as well as a replacement machine and ventilation bag. Nasal masks, oro- nasal masks, full-face masks, mouth masks or mouth pieces are all available for home non-invasive ventilation (NIV) purposes. The choice depends on the Client’s tolerance of the ventilation as well as on ventilation efficacy. Every Client should possess at least one reserve mask; for long periods of ventilation, a number of different masks may be necessary to relieve contact pressure zones. Unit-side particle filters fitted at the point of air inlet are necessary. There is insufficient evidence to suggest that filters at the point of air outlet are necessary for home use. It is recommended that filters are changed at 1–7 day intervals. The oxygen flow rate is clinically titrated. Home monitoring via pulse oximetry is not mandatory but it is recommended. 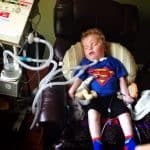 However, Clients with Neuromuscular Diseases and cough insufficiency, as well as children, present as exceptions: in these Client groups, a drop in oxygen saturation can prematurely indicate imminent, significant secretion retention. Selective measurements during invasive ventilation are also worthwhile. High-quality, individually-customized, tailor made and holistic care is paramount in the management of mechanically ventilated Adults& Children. The aim is to adapt at any time the extent of care to the necessity of ventilation duration and type of ventilation interface; the inclusion of relatives in the care of ventilated Clients is also paramount. This is only accomplished through close consultation and good organization between all participating professionals. The transition phase from the clinical to the non-clinical environment is highly vulnerable. For quality of life reasons, it is preferable to accommodate the Client at home. The correct time point for discharge is reached only when the underlying and secondary illness(es) are deemed stable, and when the meeting of costs as well as the provision of the necessary equipment, resources and materials have been secured. 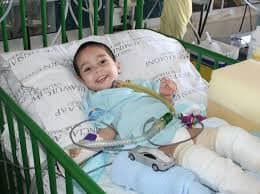 If the ventilated adult or child is still not at an optimal level of function and performance, (early) rehabilitative measures should be considered. Technical support from equipment providers for machines and accessories. A team of therapists (speech-, occupational-, physio- and social therapists, teachers). Specialized professional care must only be provided by legitimate health care professionals carrying a high level of qualification. The necessary quality of care is determined by the degree of ventilation dependence, as well as the autonomy of the ventilated Adult or Child; this decision should be made in cooperation with INTENSIVE CARE AT HOME, the discharging facility and with the Client and their Family. Mechanical Home ventilation must only be provided by Critical Care trained nursing staff in order to provide the highest level of Care and keep the stress at a minimum of for the ventilated Client and their Family and also in order to maximize the Client’s and their Family’s Quality of Life. These minimum skills and minimum qualifications of staff enable ventilated Adults or Children to live at home as a genuine alternative to a long-term stay in Intensive Care. It also minimizes the risk of readmission back to Intensive Care. INTENSIVE CARE AT HOME exclusively works with Critical Care trained nursing staff and therefore provides a high level Intensive Home Care nursing service, enabling ventilator dependent adults or children to live at home, as a genuine alternative to a long term stay in Intensive Care and keeps readmissions back to Intensive Care at a minimum. The provision of specialized nursing care for ventilated Adults& Children in the home can only be provided by specialized and accredited Nursing services. A specialized and accredited nursing service must be able to provide up to 24/7 specialized nursing care and be contactable 24/7. 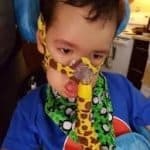 In order to provide nursing care for ventilated Adults& Children in the home, a designated specialist nurse must be assigned in order to organize and manage the care of a particular Client. In cases of permanent ventilation, the ventilation parameters and measured values should be continuously monitored and documented accordingly; this should be performed at least once per shift and/or as required. Clinical changes (e. g. increasing spontaneous breathing times, deteriorations) require medical consultation and treatment. Conduct during emergency situations should be based on the medically-necessary aspects as well as on those declared in the Client’s living will. The machine provider is responsible for briefing all personnel and Family members involved in the care of the ventilated Client. An additional briefing on the day of hospital discharge and a functional check-up of the machinery at the final ventilation location are generally desirable; for specialized nursing care, this is obligatory. If technical problems with the ventilator and/or interface arise, a technician must be available within 24 hours to resolve the issue. Mechanical Home ventilation and Intensive Home Care nursing prior to discharge from Intensive Care to a home care setting. Professional care is more extensive than assistive care and therefore requires highly-qualified care personnel. A reduced cough impulse (peak cough flow; PCF < 270 l/min) can lead to acute de-compensations and increased incidence of aspiration Pneumonia. Measures to eliminate secretions should therefore be taken when SaO2< 95%, or a 2–3% drop in the Client’s individual best value occurs. Step-based secretion management consists of measures to increase intrapulmonary volume via air stacking, frog breathing or manual hyperinflation, as well as assisted coughing techniques or mechanical cough assistants (CoughAssist ®, Pegaso Cough®). 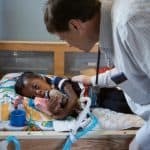 Most of the underlying diseases that lead to ventilator dependency in childhood are complex and often associated with multiple disabilities that must be treated in a spezialized clinic. A therapeutic master plan must anticipate both the progressive course of the underlying disease and all corresponding respiratory complications, and also include infection prevention, ventilation, treatment of cough insufficiency, sufficient nutrition and adequate management of complications and emergencies. Burdens such as fever, airway infections or operations may necessitate earlier implementation of ventilation. In principle, there is no difference between children and adults in the indication for invasive Tracheostomy ventilation and it should be determined in close consultation with the children, parents and the treatment team. Since the prognosis for Clients with Chronic Respiratory Failure is often quite poor, quality of life becomes paramount. In this light, INTENSIVE CARE AT HOME’s service for mechanical home ventilation affords on the one hand the chance to relieve the extent of Chronic Respiratory Failure and markedly improve the Quality of life and/or Quality of end of life. It also gives ventilated Adults& Children the opportunity to leave Intensive Care and it furthermore gives them the opportunity to live a life with dignity and privacy in the safety of their own home, away from the stressful and busy Intensive Care environment. In the last several decades, there has been great interest in Non-Invasive Ventilation(mask ventilation) for providing home ventilation. Non-Invasive Ventilation(mask ventilation) is the most common method for non-invasive home ventilation. There are currently three main methods of delivery: (1) via nasal mask,( 2) via full face mask, or ( 3) via mouthpiece with or without a lip-seal. Mask-type Non-Invasive Ventilation is most often used at night, where the mask will not interfere with activities such as speaking and eating. Many conditions will require Non-invasive ventilation(mask ventilation) at night only or, sometimes, initially at night only. However, when ventilation is required during the daytime when speech and eating are needed and where wearing a bulky mask would be socially uncomfortable, Mouthpiece ventilation is most often used with a volume-cycled ventilator. Other forms of Non-Invasive Ventilation called “body ventilators” are available but rarely used today. Secretion management for Clients using Non-Invasive Ventilation(mask ventilation) is important and will need to be approached in a different manner than for Invasive Tracheostomy ventilation, where immediate access to the airway is available for suctioning secretions. Secretions will need to be mobilized into the mouth for expectoration or suctioning. Techniques for mobilizing secretions into the mouth include manually assisted cough, breath-stacking, and the mechanical insufflators or exsufflator. The selection of candidates for Mechanical Home Ventilation involves careful analysis, not only for the type of disease from which the Client suffers and equipment and support service requirements, but also a number of other factors that will have a significant impact on the successful outcome of the endeavour. Obviously, Clients who require either invasive or non-invasive ventilation suffer from respiratory failure. This may require either full-time or part-time ventilator support, the latter most often occurring at night. Although mild hypoxemia may be a part of the presentation of respiratory failure, the major problem for Clients receiving Mechanical Home ventilation is hypercapnic respiratory failure. Clients will be unable to maintain ventilation and gas exchange without, at least, part-time ventilation. There are Client personality characteristics that lend themselves to successful implementation of Mechanical Home Ventilation. The most successful Clients using home mechanical ventilation programs are highly motivated or have family members with a high level of motivation to care for the Client at home. A less supportive Family does not exclude ventilated Clients to go home, as with the development of specialized Intensive Home Care nursing services, Client’s are less dependent on Families. Considerable stress and frustration can be involved in the preparation for movement to the home environment so that flexibility and patience are also important characteristics. Clients who may be considered successful candidates for long-term Mechanical Home Ventilation may have other associated medical illnesses. These illnesses do not necessarily disqualify them from receiving Mechanical Home Ventilation if the problems can be dealt with in the home and do not necessitate frequent admission to a medical facility for evaluation or treatment. The home itself must be safe and accessible for the ventilator-dependent Client. Electric supply to the house must be adequate to support the ventilator and associated equipment, and it is advisable to have home circuitry inspected to ensure that this is the case. If the Client uses ventilation during the daytime, wheelchairs may need to be fitted with ventilator equipment and may have larger space requirements that need to be taken into account (hallways and room entrances, in particular). Mechanical Home Ventilation can be expensive but is still more cost effective compared to a prolonged stay in Intensive Care, so careful discussion with the Clients, family, and insurers or governmental agencies responsible for funding will be important for the eventual success of the venture.